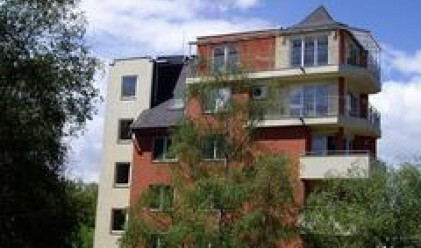 Residential property prices in Bulgaria went up by an average of 6.8% in the first quarter of 2007, compared to the fourth quarter of 2007 to an average of 1,299.95 leva per m2 (664.65 euros), data of the National Statistical Institute (NSI) show. Lovech saw the highest increase of 19% in residential property prices in the first quarter of 2008, compared to the last quarter of 2007. Residential property price growth in Yambol, Sofia district and Pernik followed with 17%, 16.3% and 16%, respectively. The strong growth in these cities may be put down mainly to the lower prices of the residential properties there compared to other regions of the country. Residential property prices declined only in three regional cities during the first three months of 2008. The prices in Vidin recorded the biggest decrease of 7.8%. Smolyan and Silistra followed with 1.5% and 1%, respectively. Residential property prices in Sofia city went up by 2.4% to 2,163.17 leva/m2 (1,106.01 euros) in the first three months of 2008. Thus, Sofia city had the highest residential property prices in the country as at the end of March, followed by Varna where the price stood at 2,099.33 leva/m2. Residential property prices in Varna grew by 8.2% in the first three months of 2008, compared to the last quarter of 2007. The prices went up by 4.8% to 1,316.83 leva/m2 in Plovdiv. Residential property prices in Ruse rose by 15.7% to 1,732 leva/m2 outpacing the prices in Plovdiv. Ruse ranked third in terms of highest residential property prices, trailing behind Sofia and Varna and overtaking Burgas, Plovdiv and Stara Zagora. Residential property prices in Burgas grew by just 2.5% to 1,647 leva/m2 in the first quarter of 2008.